Can you believe that it is August already? As always, I am incredibly excited for the beginning of the school year! I still get that same sense of excitement that I had as a child this time of year! 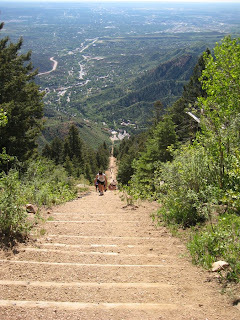 Speaking of excitement, throughout my travels this summer I was fortunate enough to climb the Manitou Springs Incline in Colorado, which is a 1-mile hike at an average grade of 40%. It was an incredible challenge for me and as I was climbing I was reminded of the incredible metaphor this mountain provides when comparing the climb to that of the school year. First of all, my anticipation and adrenaline started off strong, as I was about 100 yards into hike, I realized I was in for more of a challenge than I had expected, but there was no turning back. Half-way up, I realized that looking at the summit was no longer an option, I had to divide the hike into smaller chunks or goals, providing myself with a well deserved break each time. As I was getting closer to the summit, it didn’t get easier, as a matter of fact it became more challenging, however my adrenaline had kicked in and by then my body had surely adjusted to the altitude, but I was incredibly tired. Twenty feet away from the summit, my legs were on fire, but my mind pressed forward and after reaching the top, I was overjoyed and felt the most incredible sense of accomplishment. We then took an alternate trip down, which was a 2.4 mile winding hike back down the hill, providing me with an opportunity to catch my breath, take in the beautiful sites once again both helping me to rejuvenate my soul. 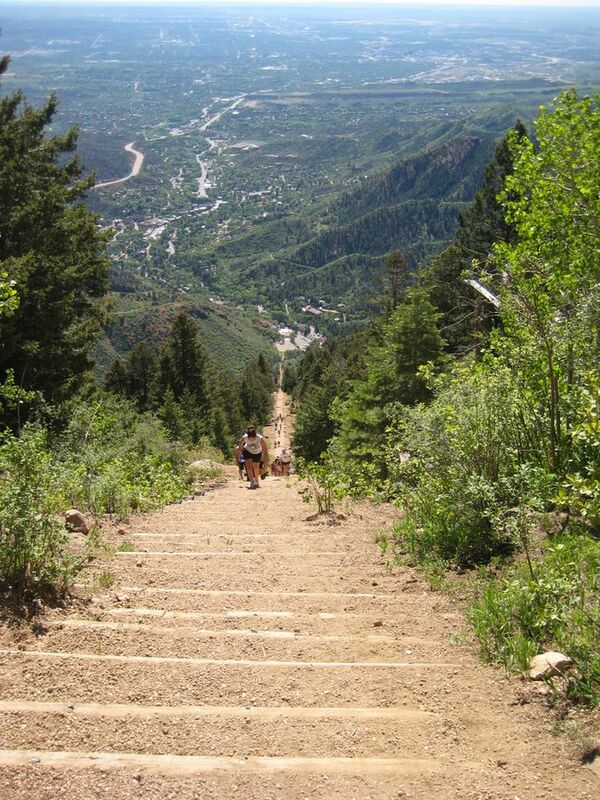 Can you envision the parallels when comparing your child’s school year, to that of climbing a mountain? We all start off strong, new backpacks are ready, routines are set, intentions are great, and after we start, the excitement may dwindle and school may become harder and maybe more of a chore, but it is then that we must push children to prevail and continue to pace them upward and forward. The end will surely come and we will have that opportunity for summer to refresh our children’s bodies and spirits once again. And just as I looked back at my climb, our children will look back at this school year next May and realize, while challenging, there was so much enjoyment full of memories that will last a lifetime! I wish you all the excitement of climbing a mountain this school year! Elementary Principal for Denver CSD. Passionate about teacher quality, Professional Learning Communities, 21st Century Skills, and putting students first!